I joined BDPA in 1989. I was promoted to a mid-level management leadership position for a large mainframe computer room. 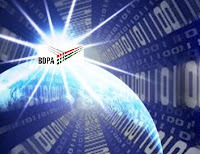 It was my first job in the information technology (IT) industry and I figured that membership in BDPA would be helpful. Technology professionals compete in a global economy and must never stop learning. BDPA membership provides access to resources that advance the careers of African American IT professionals from the classroom to the boardroom. Connect to network of IT professionals and executives in the academic, commercial, government and non-profit sectors. Enhance and develop additional technical skill sets. Obtain free advertising through website and entrepreneur directory. Opportunity to participate in the regional and national high school computer competition, internships, lifelong mentors, scholarships and student empowerment activities. Participate actively in an organization that is setting trends in emerging technology. Participate in certification support groups. Serve as a role model within the African American community. Support and influence the goals and directions of this leading edge technical organization through the contribution of your own professional expertise. I joined BDPA in 1989 ... when did you join? And, if you are not a member yet ... what are you waiting on? Join BDPA today! Do you fell that these reason are still valid in today's employment and economic environment?